Hello, I'm Kathryn Yelinek. Don Helin was kind enough to introduce me. Thanks for that. Personally, I've been published in nonfiction and fantasy fiction. You can read more on my website. My guest column, "7 Things I've Learned So Far," is posted on Chuck Sambuchino's Guide to Literary Agents blog today. Stop by and check it out! Looks like some stores are receiving copies of Shadow's Lure. This is the sequel to Shadow's Son, continuing the story of Caim the Knife and his ethereal friend, Kit. "Searching for the truth behind the murder and disappearance of his parents, Caim discovers a land in thrall to the Shadow. But there are some things a son of the Shadow cannot ignore, and some fights from which he can’t run. In this battle, all of Caim’s strength and skill won’t be enough. For none can resist the Shadow’s Lure." At the recent Pennwriters conference I was fortunate to have breakfast with Kathryn (Katie) Yelinek. It turns out that Katie works at Bloomsburg University and is the coordinator for Pennwriters Area Two. She coordinates events in her area and since Area Two is just north of us, I thought it would be fun to coordinate events. Some of Katie's folks may want to come to our events and some of us may enjoy participating in their activities. So - Katie, welcome aboard. Tell us a little about yoursel, and I believe you have a website to post for our folks. San Francisco Dreams now available! 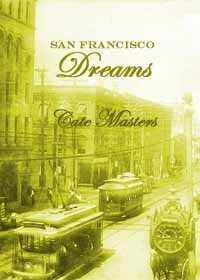 My historical romance, San Francisco Dreams, is set during the turbulent 1906 earthquake, a fascinating time. It's available on Amazon and Smashwords for just $1.99. You can find more info, including the first chapter and “Casting Call” on my blog. His smile faded when he glanced up to meet the stare of none other than Miss Norah Hawkins, standing in the archway like a she-witch spying her unsuspecting prey. Hell’s bells, she could wither a man. A lesser man than Mac at least. Her fiery eyes belied her cool attitude. He found himself wanting a good quenching drink after she burned him with her appraisal. “The paper’s full of both good and bad. And you?” She must have good news if she’s taunting me. Now that sounded promising indeed. “Customers will expect entertainment of some type. My offer’s still open. People love piano players.” And many had. Maybe even Norah would warm to him after hearing him tickle the ivories. “Such as?” Maybe he could fulfill those other needs too. 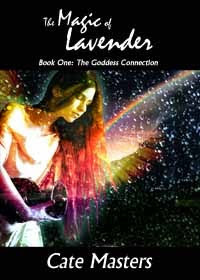 The Magic of Lavender now available! 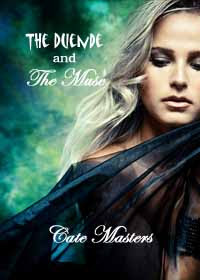 It's out now on Amazon and Smashwords - yay! I'm very excited about it. This is the first in The Goddess Connection series. Every woman should be treated like a goddess! I have several more in mind to follow. In each, the heroine will be somehow connected to a goddess. Her lifelong quirks will become strengths once she finds her true place in the world, and accepts herself for who she really is. I hope you'll check it out! Soon I will also make a print version available through CreateSpace (once I figure out how). Rejection Letters Getting You Down? If you're struggling to keep submitting after receiving a stack of rejection letters, maybe this story from More. com will help you get back on track. Kathryn Stockton persisted even after 60 rejection letters. And now she not only has a book, but a movie deal too. And if you've recently received a rejection letter that you need help interpreting, here's a site that offers some spot-on translations. See Reading Between The Lines for clues to the editor-ese. I have one advanced reading copy of my new book, Shadow's Lure, to give away. Unfortunately it won't be signed (because it's coming straight from the publisher), but them's the breaks. In 2005, Steven Hawking, renowned theoretical physicist, proclaimed that black holes emit radiation, which he termed Hawking Radiation. These emitted particles are believed to represent energy/matter that has entered the black hole, been reduced to their elementary particles, and are now leaking back into space. Let's take this one step further. Assume an alien enters the black hole. Would it be possible to harvest the emitted particles and reconstruct the alien? Sounds complicated, I know, but not so in my world. First you need to find the black hole. Then you need a very high-tech instrument capable of harvesting the particles the moment they leave the black hole (the real catch is not having your particle reaper sucked into the hole during the process). Then you would need to bring the harvested particles back to earth and reconstruct the alien, or if you were lucky the alien would have the know-how to reconstruct himself. And all this has to be done in your life time, otherwise you don't get the credit and never publish your results, which is career suicide for an renowned astrophysicist, or any scientist for that matter. Your colleagues would think you were just plain nuts. The tricky part is reconstructing the entire alien. It takes talent. Sometimes the alien is not entirely whole. That's precisely what happened when Banger Dunn, astrophysicist extraordinaire, found Farber's particles leaking out of a black hole. Farber might have been in bad shape, but his message to Banger shattered Banger's world, and sent Banger on a path on which there was no turning back. "Finding Farber" can be found in Escape Velocity: The Anthology at amazon.com in print and kindle formate. Published by Geoff Nelder and Robert Blevins of Seattle Books, Escape Velocity: The Anthology, is a collection of fantastic short stories from authors around the world. Read "Finding Farber" today and let me know what you think! I attended the Pennwriters Conference this past weekend. Super conference. For me one of the best parts was Jonathan Maberry's pre-conference workshop on social marketing. As you all know he's a high-energy guy (writes ten hours a day - 50 minutes writing, 10 minutes social marketing each hour.) Whew. No wonder he's a New York Times Best selling author. He believes you (the author) are the brand and not your book. Author needs it all. Facebook, twitter, Linked in, website, blog. He links his facebook, twitter, linked in. Facebook: Use the event page for your book. For profile, need photo plus short bio plus Free lance Writer. Recommends picking the top 50 authors in your genre and friending them. Can review and comment on each others books. Once readers goes to their facebook page, they will see You!!!! A blog is important. Nothing to say? Post an interesting link with a short comment. Also he has a number of questions he uses to interview other authors. Keeps him active on the scene without a super amount of work. Give out free stuff to readers of blog. Contests - maybe naming a character. He puts his blog into website. Links his blog to agents, reviewers and other authors. He mentioned Backspace message board. Check it out. Twitter: Be sure to friend libraries, bookseller, other bloggers. Linked in. Organizations are critical. I'll talk more about it on my next post. I'm sure I missed a bunch of stuff and hope others will add their thoughts.